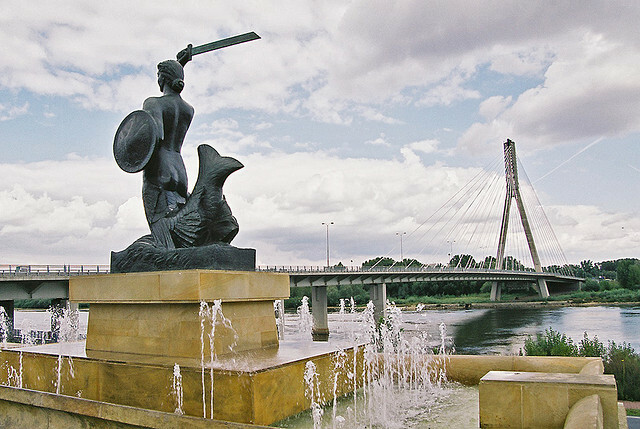 Syrenka Mermaid of Warsaw. Photo © by Małgorzata Byczkowska. 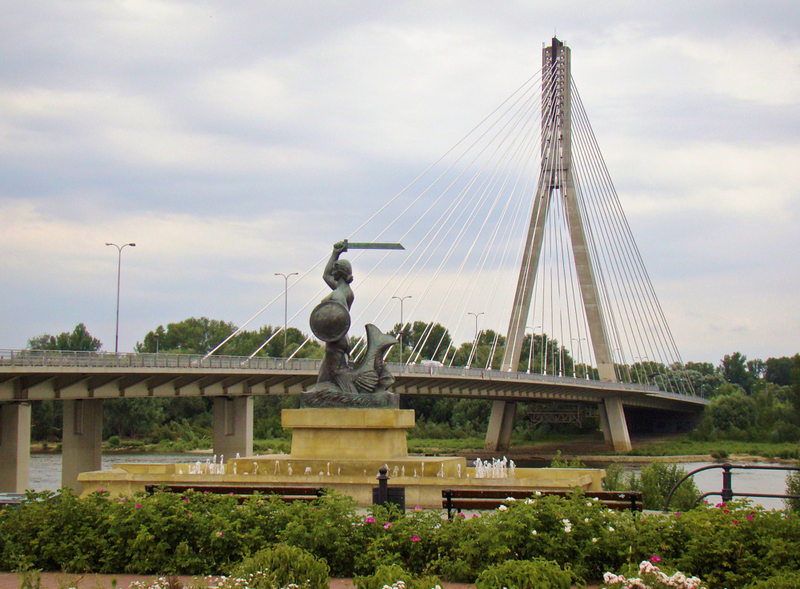 This is the largest of the Warsaw mermaid statues, located where the Swietokrzyski Bridge crosses the Vistula river. 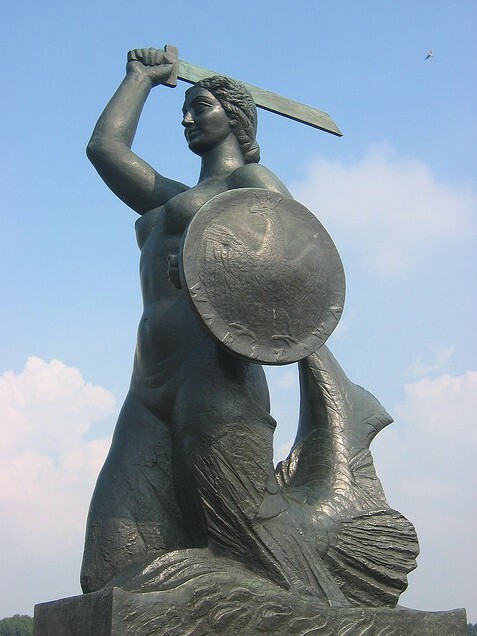 This bronze statue was made by sculptress Louise Nitschowa in 1939, and is about 25 feet tall. 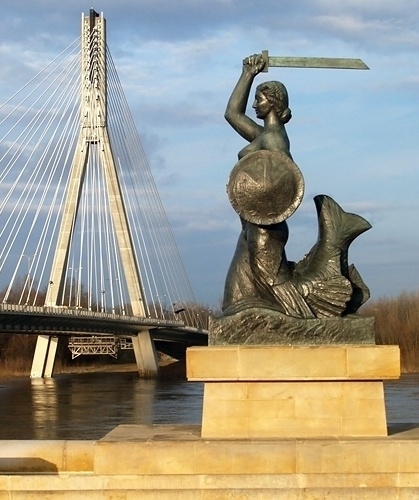 The face of the mermaid statue was modeled by Krystyna Krahelska, a polish poet and soldier. Krahelska was part of the Warsaw Uprising in 1944 during which she was killed. 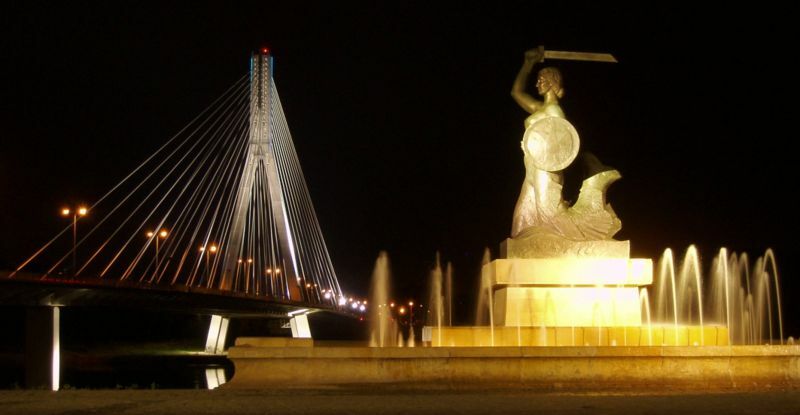 So in a very real sense, this statue represents two defenders of the city – the Syrenka (mermaid) and Krystyna Krahelska. Additional images: High-resolution images are needed of this mermaid sculpture. If you would like to help with additional photographs, please contact us. Photos must be yours, 10 megapixel or better. We can only accept photos if you give us full rights to use them in print and digital media.